Thanks. The craws look great too. Oh yeah on the Spaz Stix....I'm just doing fun stuff. I have the respirator but prefer to use Createx and only painting lures here and there keeping it simple and safe. Thanks for the warning. Folk Art Ivory or Linen are what I've been using and really like them. I would only add a very light overspray of black on the back, thinned so it's almost transparent, and done in really light coats, so you can quit when you hit what you want. Otherwise, you baits look great as they are! great post and comprehensive chart! Another possibility is createx pearl copper. Top, socket: Wicked sepia or Transparent black. backbone: Wicked sepia or Transparent black. Optional: sides and top: quick spray of Pearl satin gold. If you apply layers thinly, it really glows but still has a little flash. here is a couple of handy tools for getting a idea for mixing and matching your colors. First is a app for google chrome you can download for free at the web store for chrome. its called color pick eyedropper it will pick the color out of a webpage and give you different type values for it. second is this page here http://trycolors.com/ that lets you mix colors together by percentages to try to match your target. That trycolors.com is a pretty cool tool. I messed around with it and got a few ideas to try on some colors I never could get exactly how I wanted. I did notice that it doesn't quite match my experience in how some colors overpower another with airbrush paints, but it still helps figure a new direction to try. One shade of brown I want, I never thought about adding blue, but after messing around with this, that's my next step. In my experience, red changes yellow a lot more than it does with the simulator. Ratios also seem to be a little different with black and yellow. Does any one have a paint formula fo Lucky Craft's Ghost Wakasagi?? Any chance that one of you can please help me find the schedules for the Wiggle Wart V82 Purple Tiger? I have only been sent a couple pictures, and never seen one in person. That purple looks like some mix of candy red with a hint of candy purple? Heck I don't know - I've tried a few different things. Any help / advice is greatly apprecciated. For Purple Tiger try Createx fluorescent violet over the yellow base (possibly fluo yellow). The fluorescent colors are translucent - not opaque. So the yellow darkens the purple a little. 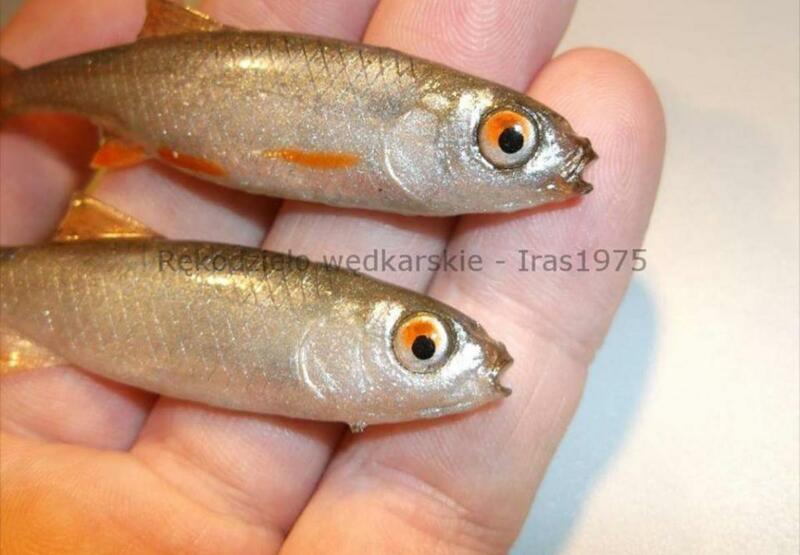 Similar simple shad pattern. All white. Silver pearl back and shoulders. Pearl black back (which looks more graphite) and face. Black dot.